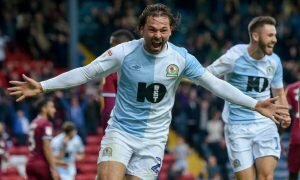 Northern Ireland boss wants striker to join Leeds United | The Transfer Tavern | Where football transfer rumours fly or die! Leeds United fans in The Transfer Tavern are hoping that encouraging words from the Northern Ireland manager will encourage a loan target to join the club. The Daily Mail is reporting that Michael O’Neill is pleased with the news that Kyle Lafferty would be getting more game time should a potential loan move to Leeds United come off. 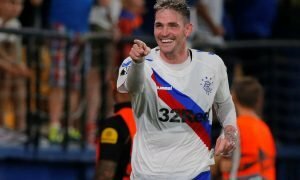 The Leeds United fans in The Transfer Tavern hope Lafferty takes notice of his international manager, and are hopeful a loan move can be sealed as soon as possible. Leeds fans, is Lafferty an ideal signing for you? Let us know in the comments below!